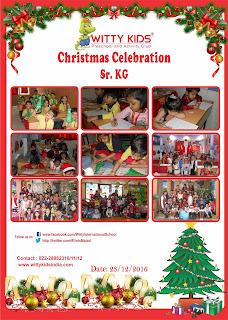 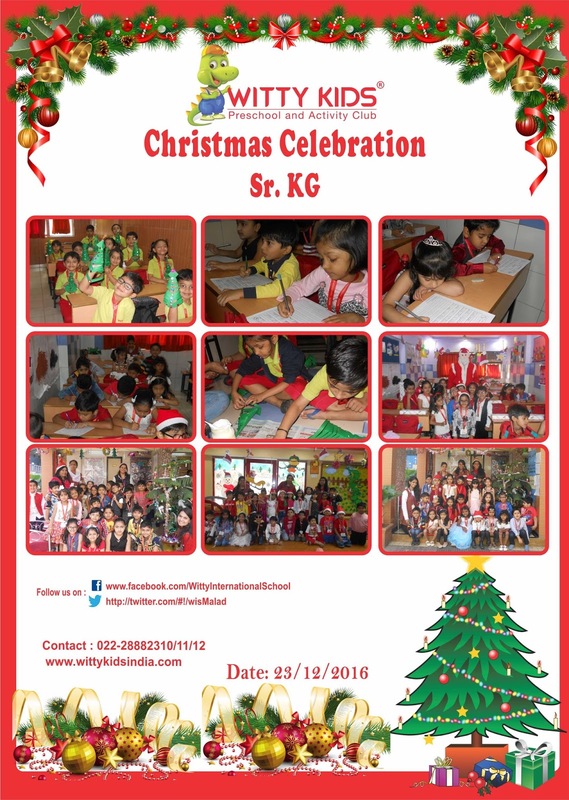 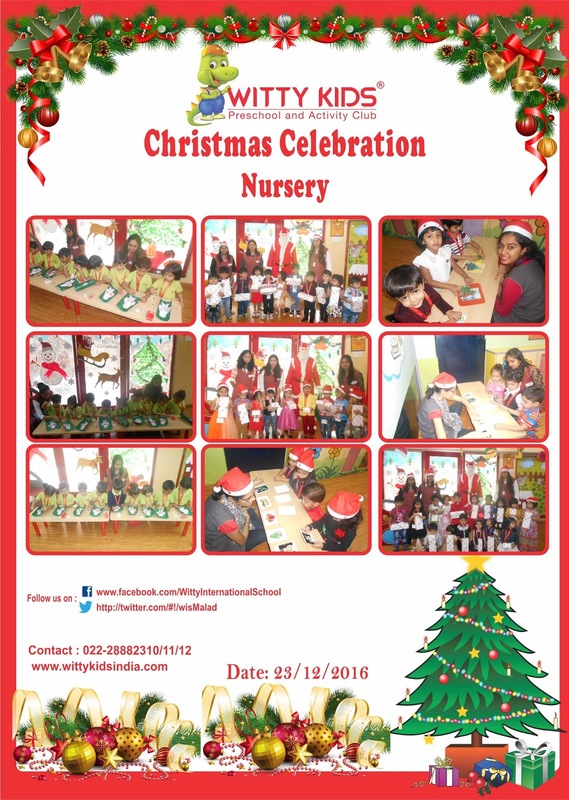 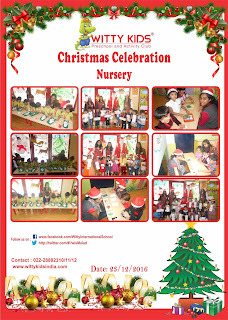 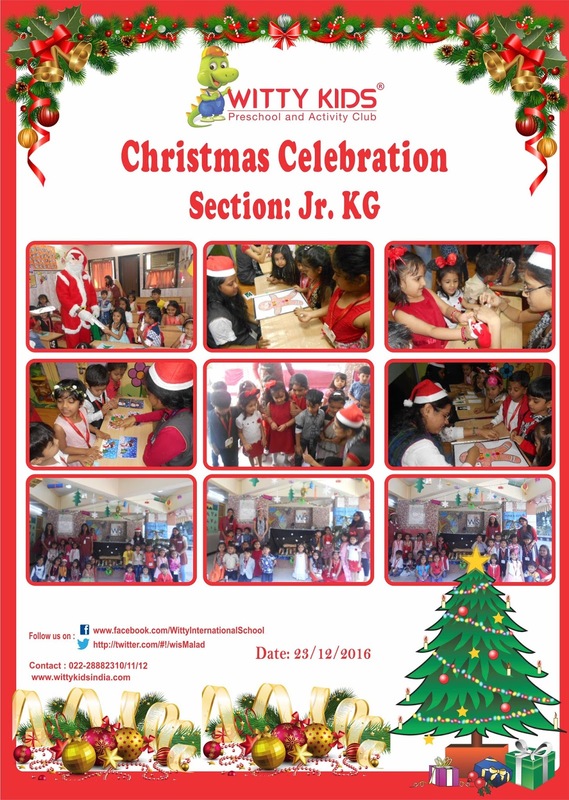 Christmas, a time for fun and frolic was celebrated at Witty Kids with a lot of zest and zeal on Friday, 23rd December 2016.The children were narrated the story of the birth of Jesus Christ the Saviour, through a nativity set up. The kids also sang Christmas carols and enjoyed clicking pictures with Santa. 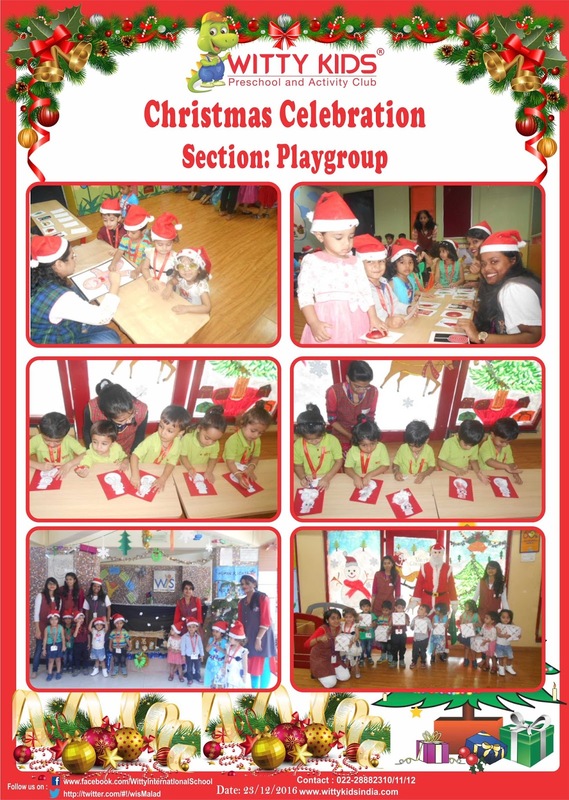 They were overwhelmed to receive gifts from Santa.